There are 120 UNESCO Global Geoparks in 33 countries. The English Riviera UNESCO Global Geopark territory includes all of Torbay, that’s to say the towns of Brixham, Paignton, Torquay and Babbacombe, and the marine environment of Tor Bay. In this area there are amazing sites and natural landscapes of international geological significance which are managed with a holistic concept of protection, education and sustainability. Kents Cavern is the jewel in the Geopark and we share the philosophy of Geoparks of combining conservation with sustainable development, involving the local community, to increase the popularity of the area. A UNESCO Global Geopark uses its geological heritage, in connection with all other aspects of the area’s natural and cultural heritage, to enhance awareness and understanding of key issues facing society, such as using our earth’s resources sustainably, mitigating the effects of climate change and reducing natural disasters-related risks. 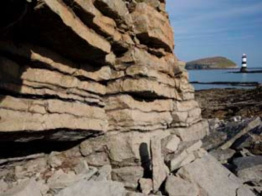 By raising awareness of the importance of the area’s geological heritage in history and society today, the English Riviera UNESCO Global Geopark gives people a sense of pride in the region and strengthens their identification with the area. Stimulating the creation of innovative local enterprises, new jobs and high quality training courses to create new sources of revenue through GeoTourism, while the geological resources of the area are protected, is all part of what UNESCO Global Geoparks are expected to do. The English Riviera UNESCO Global Geopark is not just about geology. While our rocks and geological story are of international significance, the purpose of a UNESCO Global Geopark is to explore, develop and celebrate the links between the geological heritage and all other aspects of the area's natural, cultural and intangible heritage. Kents Cavern’s unique connection to humankind for the last 500,000 years is a powerful element of this heritage founded on the geology of the area. There are 7 UNESCO Global Geoparks in the United Kingdom supported by the UK National Commission for UNESCO which works to support the UK’s contribution to UNESCO and bring the benefits of UNESCO to the UK. Walk on an ancient ocean floor, explore an extinct volcano and stroll across shifting sands all in the space of a day. 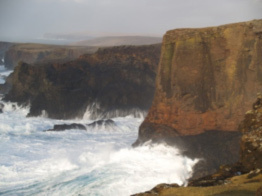 Along the way you will discover some of the most stunning scenery in the UK and find out how geology has influenced every part of life in Shetland. 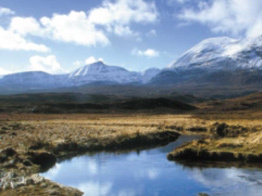 At 3,000 million years old, the far north west of Scotland presents one of the most ancient landscapes in Europe. Here you will find rugged and wonderful scenery, where the rocks tell their history of huge crustal forces, oceans, deserts and grinding ice sheets. Located in the rugged mountainous uplands and the gentle rolling lowlands of counties Fermanaghand Cavan. 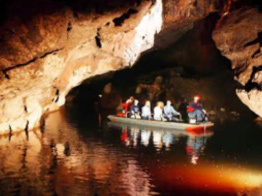 Taking in the world-famous Marble Arch Caves, this Geopark boasts some of the finest natural landscapes in Ireland and offers a window into the area's 650 million year past. A stunning landscape of open heather moors and peatlands, attractive dales and hay meadows, tumbling rivers and wonderful woods. 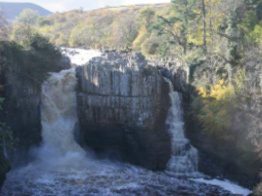 As well as being home to some of the country's most special birds, animals and plants, the North Pennines also has outstanding geodiversity, including world-class mineral deposits and a rich mining heritage. Anglesey has a stunning coastline of Precambrian and Palaeozoic rocks visible along its 125-mile-long coastal path, which provides access to more than 20 varied geosites on the 24 superb beaches around the island. It also has a higher density of archaeological sites in a small area than anywhere else in Britain and its beauty, special culture and language mark it out as a unique place. 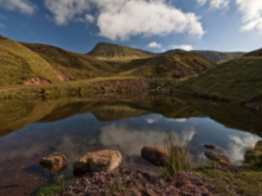 From the valley floor to the mountain top and everything in between, Fforest Fawr, which translates as 'Great Forest', is a swathe of upland country included within the Brecon Beacons National Park.